We run the following classes at Blush Dance Stockport. Click each link to view more information about each type of class. All our classes are 60mins long, some are booked in advance, some are pay as you go. 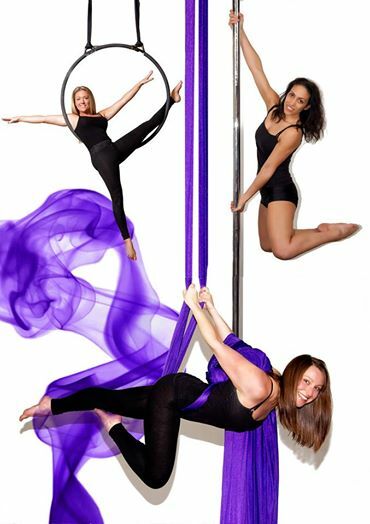 We also offer open practice times for students the extra practice time required to achieve and perfect your training, routines or simply to satisfy your aerial dance addiction. View our class timetable for a full list of all the classes times and locations. See our Facebook page for pics of what our students get up to in class.